Seagate has announced that they will be streamlining their family of desktop hard drives under a single product name. The new Barracuda family increases the platter rotation speed on all models to 7200 RPM, thus eliminating slower 5400 RPM drives in the process. Seagate was able to make the transition from the slower rotation speed thanks to a new read / write head technology that allows more data to be added to a platter. Capacities of the new Barracuda line range from 250GB up to 3TB and will first be available online through Amazon, CDW, Newegg and TigerDirect. Seagate’s Barracuda Green drive is one such product on the chopping block. Scheduled to end production in February 2012, the company discovered that new Barracuda drives have a nearly identical power consumption profile as energy efficient hard drives but deliver much higher performance. The Barracuda XT line will also be included in the new family and reemerge as the company’s desktop solid state hybrid drive. Technically speaking, new Barracuda drives will feature a SATA 6Gbps interface, 7200 RPM platter speed and up to 64MB of cache. 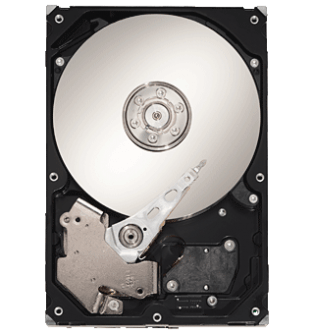 Drives will continue to ship with Seagate’s SmartAlign, a technology designed to ease the transition from 512 byte to 4096 byte sector sizes as mandated by the International Disk Drive Equipment and Materials Association (IDEMA). 4k sector sizes allow for better error correction at higher storage densities and capacities.